It takes me a few days to get into gear at Raphael. But once I’m up and running a rhythm takes over that I love. 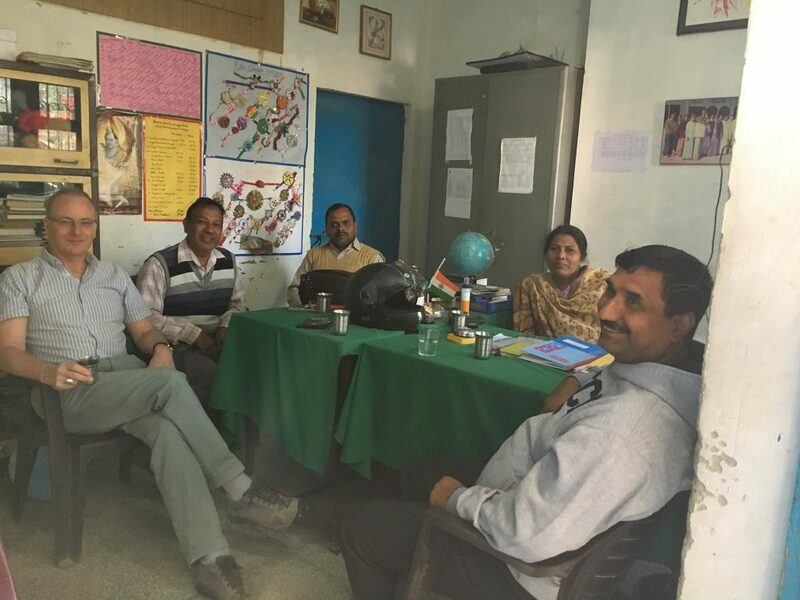 Morning time I’ve spent mainly in the special needs school (Ava Vihar) which starts with hindu prayer songs then 20 minutes of exercises for staff and volunteers too. Afternoons are more freelance. 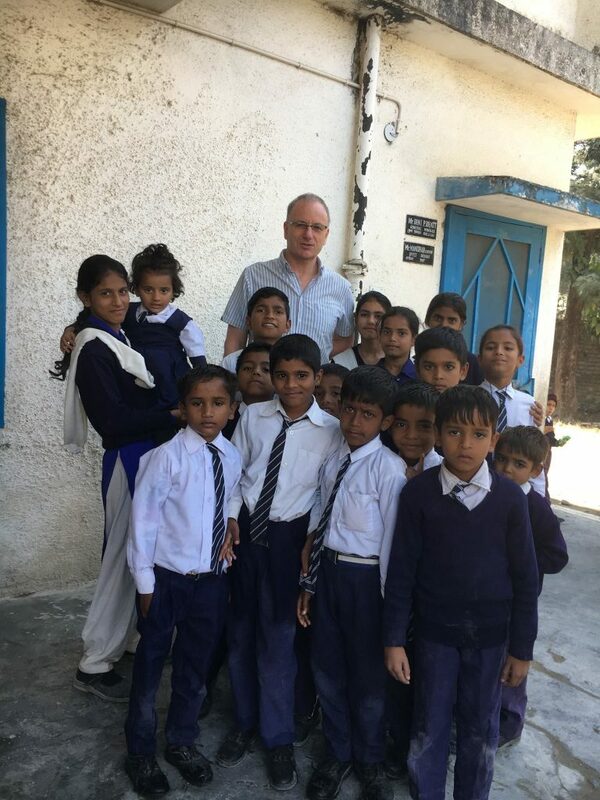 I’ve visited a local low fees school called Lakshmi Devi Academy where over the years I’ve ushered in quite a few children. Uniforms are expensive though so there have been a few trips to the market too. It promotes itself as a “Hindi medium school with emphasis on English”. 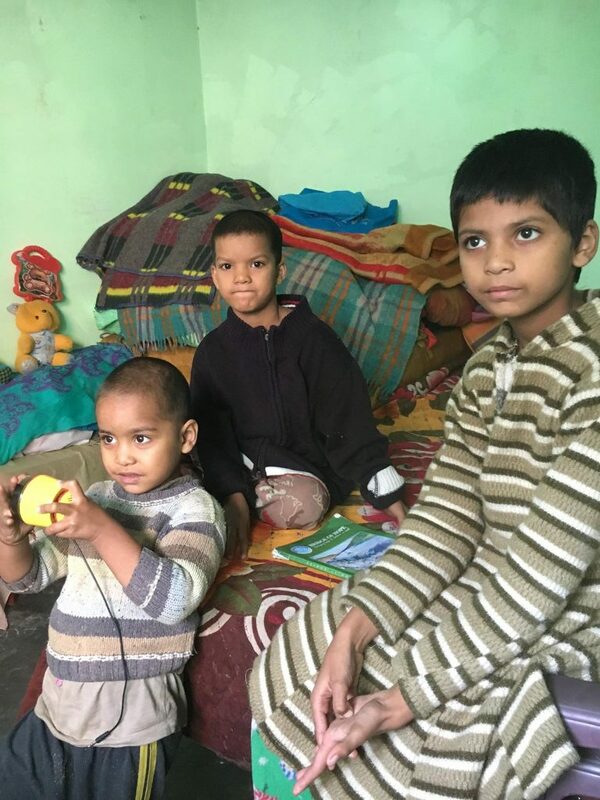 Yesterday the daughter, Divya, of one of the ayahs or care givers at Raphael took me to a home (one room rented) where three children were sitting alone while the mother was out to work cleaning and cooking (see photo). The older two had been at school but are no longer attending because of unpaid fees and absences. Unfortunately this is not an uncommon scenario. The father is a drinker and thus the mother and children are alone and on a very meagre income (4,200 rupees a month of which 1,500 goes in rent – that’s about $65 a month after rent for four to live on). Marriage separation in India is uncommon but with drinking there is usually domestic violence too so my guess is that this Mum and three children have been through some rough times. Let’s see what we can do. I will return when the mother is home and find out a little more of the needs of the family. Today I visited some Sisters who run a home for the elderly called Prem Dham. In this culture resthomes are rare as most elderly remain with family. 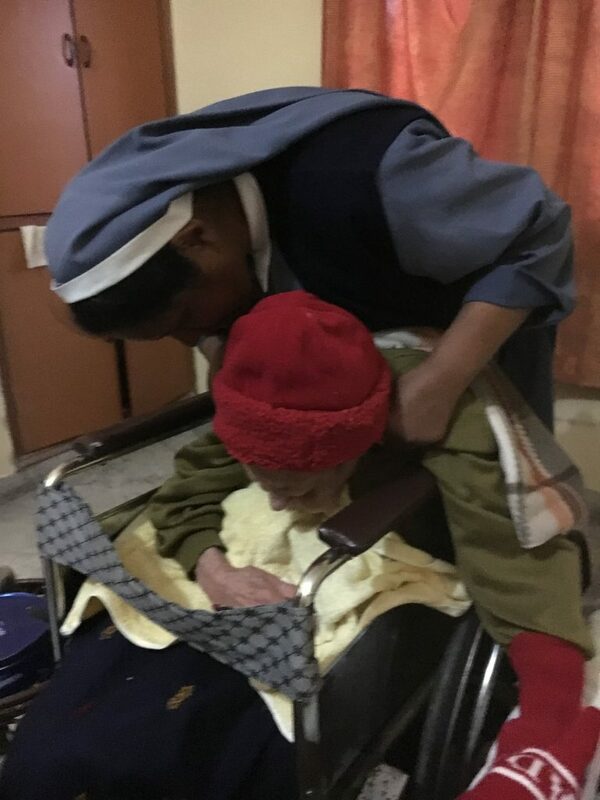 But for some there is a great need for care in their old age. Most of the residents at Prem Dham have either no children or have family living abroad. Without such a place they would be in dire straits. The Sisters were very welcoming and keen to show me around. Though the facilities were basic their loving care was very evident and they were quick to explain that their work was the fruit of many including the help of a number of Doctors based nearby who visit regularly and for no charge. Time for chai. I’m tapping this on the verandah of the volunteers guest house at Raphael with the evening sun shimmering through the trees. A nice way to draw the day to a conclusion before the wondrous moon which has been adorning the world’s night sky these last few nights soon appears. I hope New Zealand has a peaceful night after the recent jarring quakes.